Here’s a look at how our finished painting will turn out. 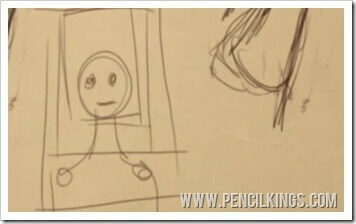 Want to learn more about sketching children? 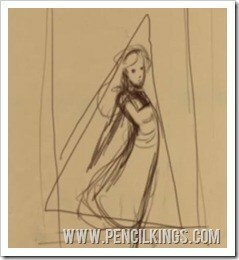 Now you’ve decided upon the pose for your painting of Alice, it’s time to work on how your composition will look. Choosing a good composition can make all the difference to your work – it helps draw the viewer’s eye to the focal point of your painting and defines your subject. 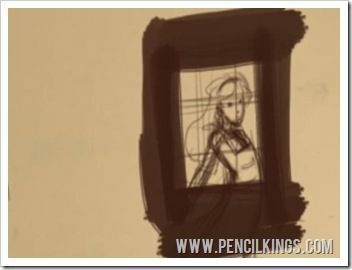 So, let’s get started sketching children, and learn why the rules of composition have been used since the very beginnings of art to create fantastic finished paintings! 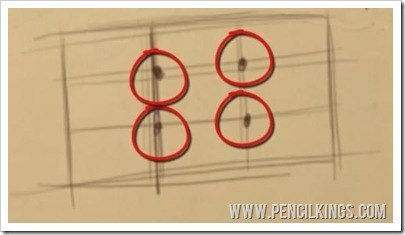 Composition is a technique which has been used in all areas of art since cavemen first picked up a stick of charcoal and started drawing. However, it wasn’t until the 15th century that people such as Luca Pacioli (1445-1517) began writing about composition and what they termed ‘The Golden Section’. 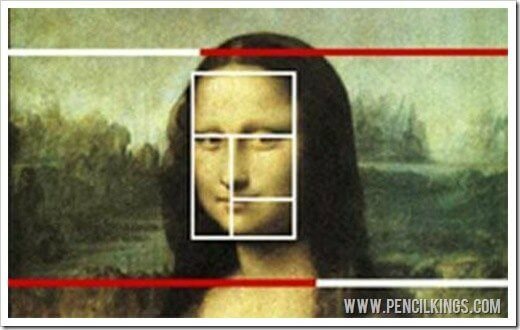 Since then, the rules of composition have been applied throughout art, including the famous painting above, the Mona Lisa, by Leonardo Da Vinci. But don’t worry – there’s no code to crack! The rules of composition (including The Golden Section and the Rule of Thirds) may be based upon mathematical formulas, but we’re not going to hit you with numbers. 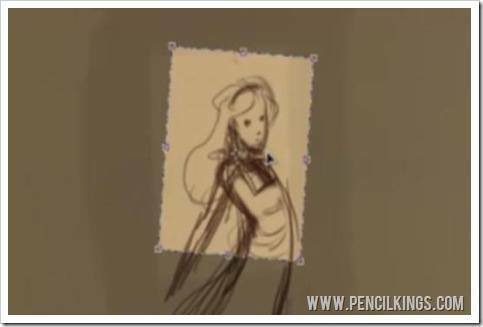 Instead, Sycra Yasin has a neat little trick that will help you to always achieve a perfectly composed look in your work when sketching children. 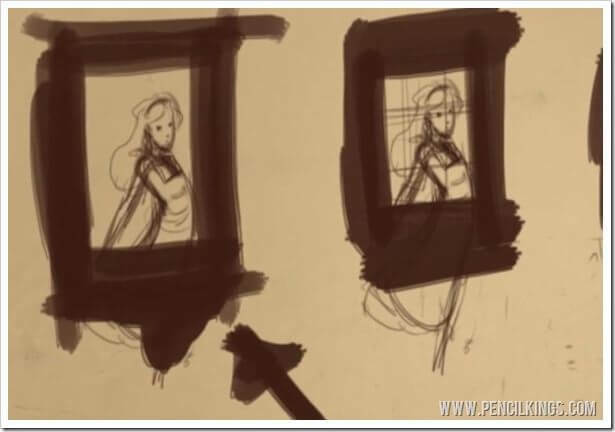 Here, you can see how Sycra has duplicated his drawing of Alice three times, so he can decide which composition works best. The Rule of Thirds – it may sound very grand, but in fact, this is one of the easiest ways to get a perfectly balanced composition for your painting. To start with, draw a rectangle, then divide this up into thirds. If your focal point (in this case, Alice) falls where the lines intersect, then this should create a composition that’s pleasing to the eye. This technique is also known as The Golden Section, The Golden Ratio or ‘phi’, but whichever term you prefer, the idea remains pretty much the same and using it will ensure you end up with a great composition. However, you don’t have to stick to the Rule of Thirds. 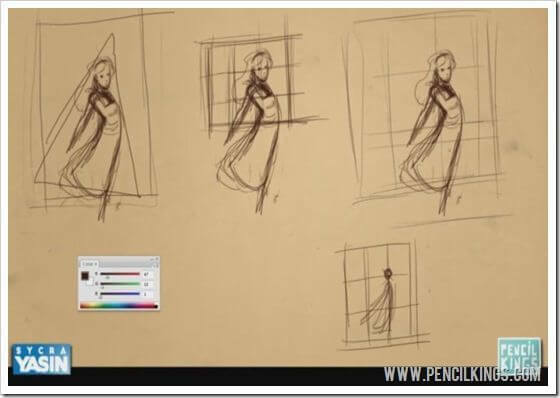 Another method is to use different shapes to define your composition when sketching children. 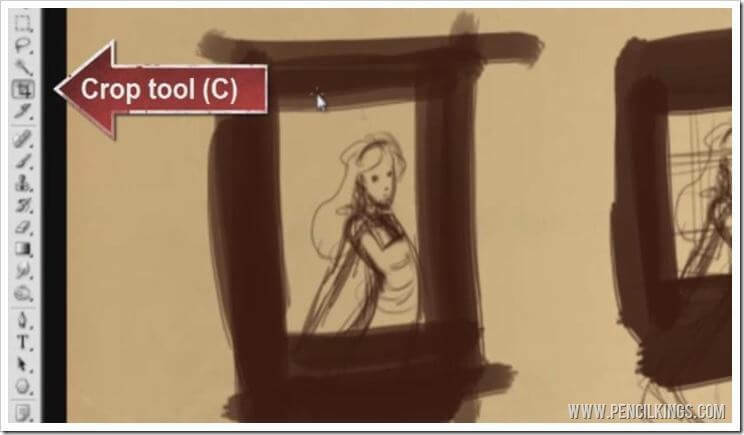 In this example, you can see how Sycra has drawn a triangle within a frame to help him decide which composition works best. Because we’ve duplicated the image, you can try out all kinds of compositions until you find one you’re happy with. Note how Sycra has zoomed in for one composition so it’s almost a square, before experimenting with other options. 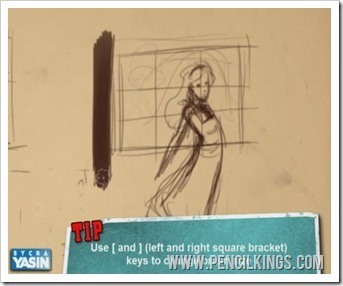 Drawing a rough thumbnail beneath can also help you decide before making any moves on the larger sketches. Do you go for horizontal or vertical? It’s up to you! One thing to remember when framing or composing your illustration is to avoid using what artists refer to as a ‘tangent’. This is basically something that looks awkward visually and you’d fall into this trap if you were to cut Alice’s arm off at the elbow or wrist, for example. Another example would be if you were painting a portrait of somebody and cut them off at the neck or at the chin. It would be much better if you decided upon a composition that included the shoulders! Once you’ve found several compositions you like, it’s then a good idea to create a new layer, change your brush size and black out the frame around your picture – this will help you see it more clearly so you can make that all-important final decision on your composition. For added speed, use the left and right square bracket keys on your keyboard to change the brush size easily, and then black out the shape of the frame so it stands out. With these three different compositions side by side, you can decide more easily upon which one you like best. 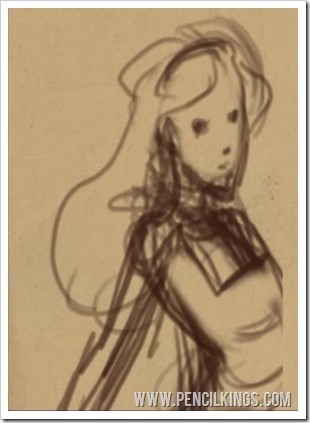 Although Sycra likes the example above, he decides upon a composition that zooms in more on the figure of Alice. The middle composition is looking pretty good, but Sycra eventually chooses the example on the left because it combines the best elements of the other two. The middle one looked a little cramped and the example on the right had a little bit too much space. Now you’ve decided upon the perfect composition for sketching children, you can move on to the exciting first stages of creating your finished painting! Once you’ve chosen the composition, it’s a good idea to then crop your image using Photoshop’s Crop tool – you can select this from your toolbar as in the example above. However, because we’ve just quickly blocked in the frame, our image is going to look slightly different when we crop it precisely – we’re now working with perfectly straight lines rather than ones that have been roughly added. 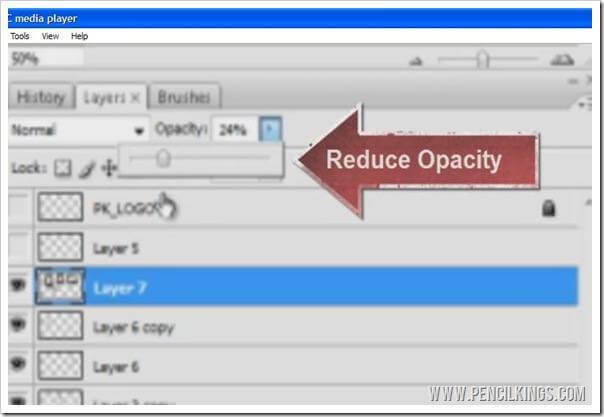 The way to get round the problem of straight lines versus sketchy ones is to reduce the opacity of the layer which has your frames on – this will give you a clearer idea of where you should crop your image. Experiment with the Crop tool until you’re totally happy with the composition. You can even rotate the frame slightly to give you a better finished image. Don’t sweat it if you don’t get it right first time – the beauty of working digitally is that you can have as many attempts as you like. Once you’re satisfied with the result, be the cream of the crop and hit that key! Once you’ve cropped your image, you’ll notice that it’s now very small. To turn this into a finished painting, we’re going to have to go supersize! Go to Image > Image Size and let’s take a look. 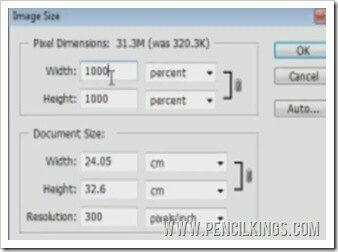 The width of Sycra’s Alice sketch is only 284 pixels – not nearly large enough for what we need. However, because we’ve been working small when sketching children, our drawing has got lots of life to it – something that’s quite tricky to achieve when you’re working big. If you were working traditionally, you’d have to photocopy your sketch and then blow it up several times to a larger size to work from. Thankfully, because we’re working digitally, Photoshop has a much easier way of doing this – go to Image > Image Size once more and blow up your image to a huge 1000 per cent – supersize! 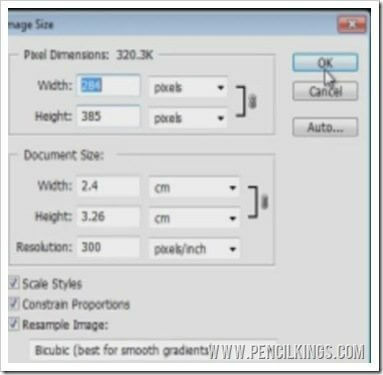 So now, you have an image that’s been cropped to your exact requirements at a size you can easily work from. 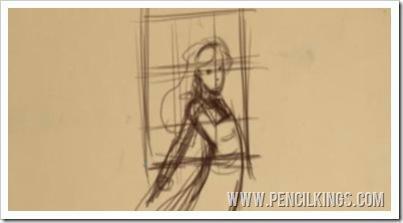 This is what Sycra calls the thumbnail image – the first finished stage which will eventually become a fully-rendered digital painting. 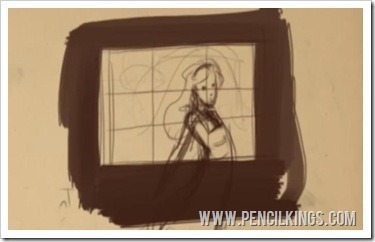 Learning the rules of composition will help you in every aspect of your artistic career. It doesn’t matter how detailed the work is or what your subject matter is – if the composition doesn’t work well, your paintings will never have the desired impact upon the viewer. 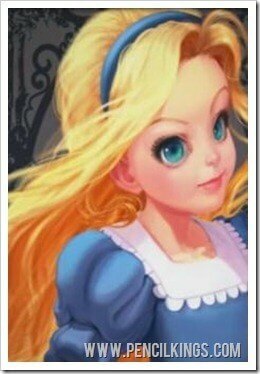 In our next lesson on sketching children, we’re going to take Sycra’s thumbnail sketch of Alice and work this up into a rough sketch before moving on to start work on the line art as preparation for our finished, fully-rendered digital painting!